On his side, he's got a few shambling corpses, an inept thief, and a powerful death wish. But he's up against tough odds: angry mobs of adventurers, a body falling apart at the seams-and a team of programmers racing a deadline to hammer out the last few bugs in their AI. 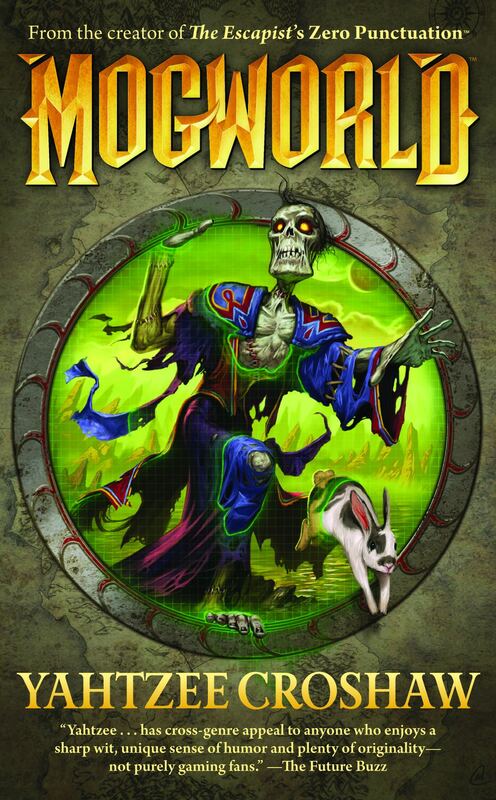 - Mogworld is the debut novel from video-game icon Yahtzee Croshaw (Zero Punctuation)! - Ben "Yahtzee" Croshaw's video review site, Zero Punctuation, receives over 2,500,000 unique hits a month, and has been licensed by G4 Television. - Yahtzee's blog receives about 150,000 hits per day.